When you think of a Nalgene water bottle, images of outdoor adventure and hiking may come to mind. In fact, many use the name Nalgene when referring to a plastic bottle of any brand because it has become so synonymous with the bottles commonly seen. Indeed, these water bottles have worked their way into the hearts and culture of outdoor lovers, but today you are just as likely to see one on an office desk or the team bench at the Friday night football game. Nalgene was developed in the 1940s by Chemist Emanuel Goldberg in Rochester, New York. He founded the Nalge Company using the initials of his wife’s name, Natalie Levey Goldberg. It wasn’t until the 1960s that the now iconic bottle was first used in outdoor settings. The scientists working at the Nalge Company, who also enjoyed hiking in the Adirondack Mountains, started using these tough bottles on their camping trips. 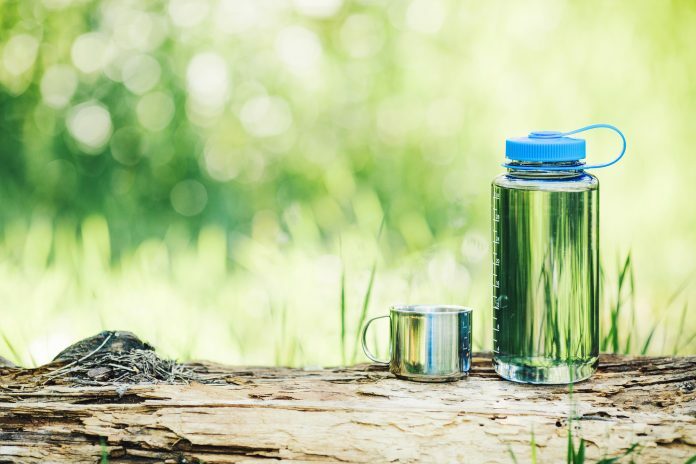 The environmental movement and the carry in/carry out trend of the 1970s solidified Nalgene’s place in the wilderness and Nalgene Outdoor was born. Nalgene claims that the use of their bottles instead of disposable bottles can save 167 bottles per person from landfills annually. Of course, that claim can probably be made about any reusable bottle you use. Still, saving the earth’s resources is a worthy goal, which should encourage everyone to use a reusable water bottle whenever possible. Over the years, creative hikers have discovered other uses for the bottles other than simply carrying water. For example, the wide mouth opening and rigid body make it a great option for carrying dry goods, like pasta or rice, as well. Another hiker trick is pouring hot water into the bottle and stuffing it inside a sleeping bag to act as a heat source on cold nights in the woods. These leak-proof and nearly indestructible plastic water bottles can be purchased in a variety of colors with many images, including your favorite superhero or sports team logo. The large body of the 32-ounce wide mouth variety also makes them a great place to display stickers so your bottle can be truly unique to you. The bottle uses Eastman Tritan plastic, which is very tough and does not add any taste to whatever you are drinking from it. Over the years, Nalgene has expanded its bottle options to many different designs for different uses, including workouts at the gym or in your kid’s lunchbox. Once only available in the wide-mouth variety, Nalgene now has a water bottle for most needs. 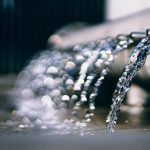 The specifications below are for the five most popular Nalgene water bottle varieties, but the remainder of this Nalgene water bottle review will focus on the 32-ounce Wide Mouth, the original Nalgene bottle. dishwasher-safe,Fits in standard cup holders. 100 % waterproof,One handed closing technology for quick and easy drinking. It is made of co-polyester, and the lid is made of polypropylene. Nalgene water bottles are one of the most commonly sold bottles on the market. 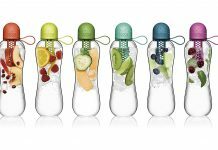 The products can be purchased directly through Nalgene’s website or from many other online retailers that offer the popular water bottles. For its iconic 32-ounce wide-mouth bottle, Nalgene’s retail price online is $10.99. However, you can find these bottles through other online stores for as low as $5.99 at Campmor and $9.57 at United States Plastic Corp. Target sells the 32-ounce Wide Mouth for $10.49. Walmart’s online pricing varies depending on who it is using to sell and ship the product. Walmart pricing for the 32-ounce wide mouth ranged from $12.00 to $17.04. Pricing also can vary depending on colors and special printing on the bottles such as a line of Marvel© bottles currently being sold. Price: Pricing varies depending on color availability or specialty logos and images such as a new line of Marvel © images. Ease of Use: 4 out of 5 stars – The wide mouth opening makes it very easy to fill this water bottle. It also makes it easy to add ice cubes of any size. 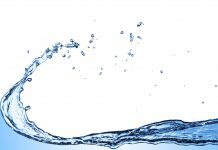 Drinking is a little more difficult with the wide opening because the water can come out too quickly if you are not careful. Nalgene does offer an Easy Sipper Nalgene Water Bottle insert accessory that makes the opening smaller to limit liquid flow. A narrow-mouth version is also available. Durability: 5 out of 5 stars - The toughness of the classic Nalgene water bottle is legendary among outdoor enthusiasts. It has been dropped from two-story buildings, dropped off cliffs and struck with large rocks. Its durability and leak-proof qualities are an industry standard. Warranty: 5 out of 5 stars – The company provides a lifetime warranty for its bottles. If your bottle has a defect, Nalgene will replace it with a new bottle. Price: Prices of this water bottle depends on stores but it is still budget-friendly. Ease of Use: 5 out of 5 stars - The Camelbak Chute Mag offers a unique magnetic top that keeps the lid conveniently out of the way while you drink or pour. It does not have an opening as large as the wide-mouth version from Nalgene, but the opening is sufficiently large enough to accept large ice cubes easily. Durability: 4 out of 5 stars - Several reviewers have noted how the original Camelbak Chute lid could break from extended use over time. However, the newer magnetic version is more durable. Warranty: 4 out of 5 stars - Camelbak offers a Got Your Bak Lifetime Guarantee, which covers manufacturer defects. Normal wear and tear are not typically covered. Price: Prices of this water bottle varies according to stores but it is a definitely a cheaper option. Ease of Use: 5 out of 5 stars – The water bottle has a nice ergonomic design making it easy for one-handed drinking. 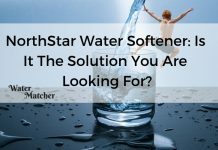 It offers a 90-degree SwitchFlow spout, which allows you to simply squeeze the bottle to drink rather than opening and closing the lid. Durability: 4 out of 5 stars – The Nike Hyperfuel 32-ounce Water Bottle is designed to be squeezed to dispense the liquid inside. While good for this purpose, the pliable plastic could be damaged easily if dropped from heights or onto hard surfaces. Warranty: 4 out of 5 stars – Nike will accept returns within 30 days for any reason. Beyond the 30 days, the product is covered under a two-year warranty. Price: This is much more expensive than the Nalgene 32-ounce Wide Mouth, but keep in mind that this is a stainless-steel insulated water bottle. The Hydro Flask also will not sweat like the other water bottles discussed in this article. 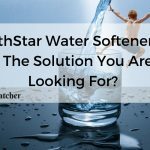 Ease of Use: 4 out of 5 stars – Like the other wide-mouth bottles, loading the container with your favorite beverage or ice is extremely easy. Like the Nalgene’s wide opening, you need to be careful when drinking so the full contents of your Hydro Flask don’t end up on your shirt. The Hydro Flask is much heavier weighing in at 15.5 ounces compared to the 6.25 ounces for the Nalgene 32-ounce Wide Mouth. This may not seem like a lot, but if you are using the bottles for a long-distance hiking trip, every ounce makes a difference. Durability: 4 out of 5 stars – It is hard to beat the Nalgene for its durability. The Hydro Flask stainless-steel body is very durable, but like any metal products, it can dent or ding especially when dropping it on rocks or other hard surfaces. The product is scratch-resistant, so it should hold up to years of use. However, any cosmetic blemishes should not negatively impact the overall function of the Hydro Flask. Warranty: 4 out of 5 stars. Hydro Flask includes a limited lifetime warranty against manufacturer defects for the life of the product. Whether you are starting your hike on the Appalachian Trail or simply commuting to your office in the city, Nalgene water bottles are a great option for staying cool and hydrated throughout your day. The classic Nalgene 32-ounce Wide Mouth is an industry standard, and for the price, it is a great option for reducing your carbon footprint. The classic bottle has not changed much in design over the years, but it now comes in a variety of colors with almost any graphic imaginable on it. Better yet, collect stickers during your travels and customize your bottle for a one-of-a-kind product that reveals your personality and interests. Because it has become a standard for outdoor adventurers, most backpacks and water carrying devices are designed to hold these rugged bottles. Drop them off a cliff. Pummel them with rocks. Give them to your kids. These water bottles will stand up to nearly any test of ruggedness. If in the rare event that your Nalgene becomes damaged, the company offers a replacement warranty. Cheaper than many other water bottles that are not nearly as durable, it is hard to go wrong with adding a Nalgene water bottle to your supplies for camping, hiking or commuting. It is a design that has stood the test of time and will likely be around for many years to come. Overall, we give the Nalgene 32-ounce Wide-Mouth Bottle four out of five stars for price, durability and warranty. The only drawback we found was the wide mouth, which is great for loading your bottle, but needs some finesse when drinking from it. Nalgene does offer the Easy Sipper attachment that narrows the opening for drinking but can easily be removed for filling the bottle with liquid or ice. The water bottle does not provide any insulation qualities, so if you are looking for a bottle to keep your beverage hot or cold, you will need to look into other brands such as Hydro Flask. For what this water bottle can provide, it is hard to come up with a reason not to purchase this outdoor classic. Nalgene water bottles are a great option for staying cool and hydrated throughout your day. 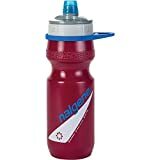 Nalgene does offer the Easy Sipper attachment that narrows the opening for drinking but can easily be removed for filling the bottle with liquid or ice.